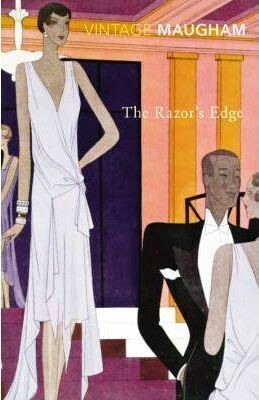 The April read for the bookclub is “The Razor’s Edge” by W. Somerset Maugham. Larry Darrell is a young American in search of the absolute. The progress of this spiritual odyssey involve him with some of Maugham’s most brilliant characters – his fiancee Isabel, whose choice between love and wealth have lifelong repercussions, and Elliot Templeton, her uncle, a classic expatriate American snob. The most ambitious of Maugham’s novels, this is also one in which Maugham himself plays a considerable part as he wanders in and out of the story, to observe his characters struggling with their fates.